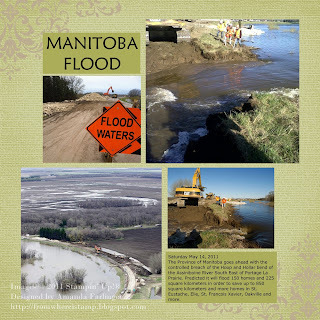 Just had to make a page about the controlled breach of the Hoop and Holler dike along the Assiniboine River in Manitoba. 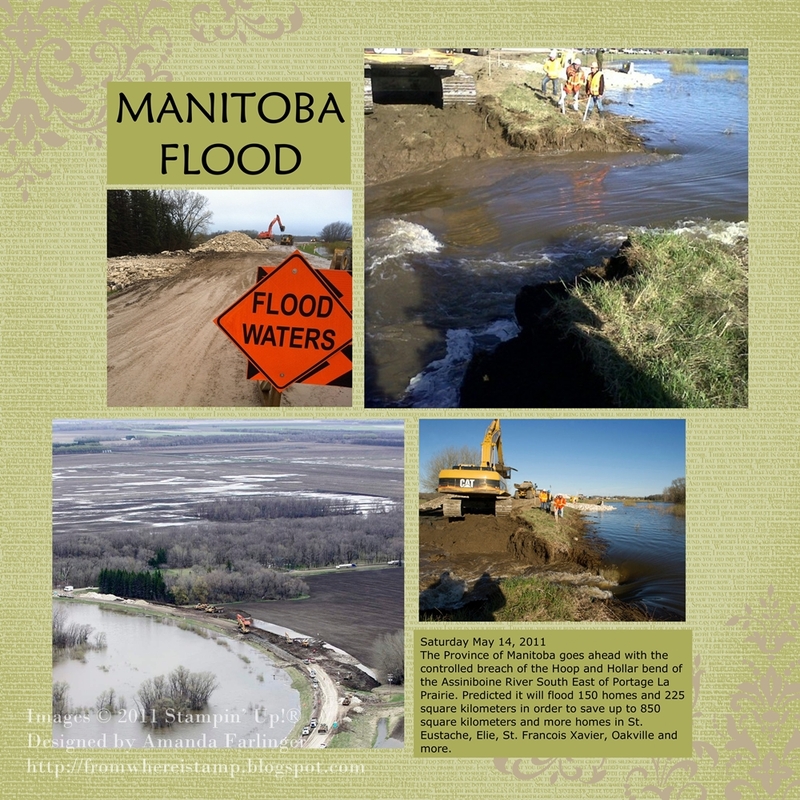 Had we not left Manitoba just over 3 years ago we would have been dealing with this, sand bagging, worrying about our new home and a possible evacuation. So scary. Because there were so many pictures online I decided to make up a layout using My Digital Studio. It took me about an hour because I took a little bit to decide what photos to use first. I need to go back and make more pages still. Very easy in MDS - I selected a prearranged photo layout and went from there.